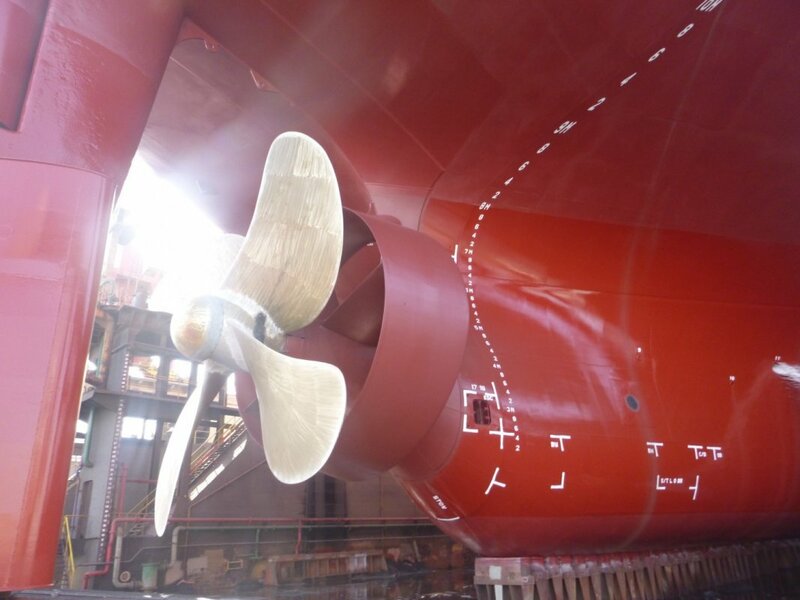 Furthermore, advanced painting scheme by International and AkzoNobel, applied in vessel’s hull. Intersleek 1100SR, an advanced fluoropolymer foul release coating with patented slime technology applied on the vertical sides and Intercept 7000, a linear polishing biocidal antifouling on the boottop and flat bottom. Prime Tanker Management Inc. insists on seeking and exploring innovative solutions in order to continuously improve its vessels’ energy and environmental performance.